PEScience TruZMA Review - (Learn the truth) Does It Really Work? How Does PEScience TruZMA work? Should you buy PEScience TruZMA? TruZMA is a testosterone booster manufactured by PEScience, and it is designed to help older men restore their testosterone levels to what they were when they were younger. 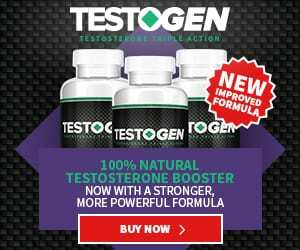 It uses two ingredients – Fulvic Acid and ZMA, ingredients that can stimulate the body to increase free testosterone levels. Serving size is 4 capsules. Based on the official website, TruZMA contains a patented ZMA formulation that is important for individuals interested in physical fitness, whether they be male or female. The formula contains magnesium and zinc in forms that are quickly absorbed. TruZMA also includes TruFulvic, which is derived from Shilajit, a mineral compound that claims to combine perfectly with ZMA. TruZMA can pass as one of the best ZMA supplements on the market, but not as one of the best testosterone boosters on the market. Two ingredients are not enough to cause a noticeable effect. This product is missing core ingredients such as Vitamin D3, D-Aspartic Acid, and a few others.